2019 Medallion Cabinet Reviews - American Made Custom Cabinets! / 2019 Medallion Cabinet Reviews – American Made Custom Cabinets! 2019 Medallion Cabinet Reviews – American Made Custom Cabinets! Last Updated March 27th 2019: Medallion are the semi custom cabinet makers that are now present in homes across the U.S.A. With cabinets in a range of styles and sizes they’ve proved a popular choice when refitting a kitchen. Owned by Elkay they are a responsible business, always looking to grow and improve while giving back to the community and those around. Elkay believe a successful business works with the people connected to it in order to continue. In this Medallion cabinet reviews guide we will talk about Medallion's history, their values, their types of cabinets, cabinet specifications and styles, and their warranty policy. Founded in 1926 Medallion is still family owned. Over the last 90 years they’ve grown, diversified and improved their product range while keeping the same family values. Throughout their history they’ve been striving for excellence in their products by manufacturing high quality cabinetry. Medallion cabinets are built in the U.S.A to allow them greater control over the quality during every step of production. Only approved dealers can stock the cabinets to try and keep the levels of service consistent across the country. Medallion are committed to helping you organise your home with creative and elegant solutions for you and your family. Medallion create furniture for a wide variety of different functions and rooms in your home. 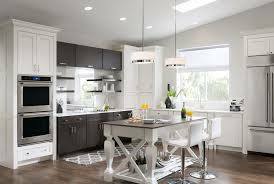 There are pieces for dining rooms, bedrooms, offices, bathroom along with accessories, but the kitchen cabinet is the backbone of their collections. The Platinum line is about detail and fine craftsmanship. High levels of workmanship goes into each of their products which accents the beauty behind the pieces. With timeless style and top of the line material the platinum range is a popular choice. These is the classic American furniture line which is suitable for homeowners with different home decoration. It boasts the most styles and personal choices with intelligent storage solutions to make the cabinets useful. Silverline is the most affordable collection from Medallion. Still featuring style and functionality the Silverline is the budget range, suitable for those who want something more basic. Within each of these ranges are a number of different items which can be customised to a greater or lesser extent. 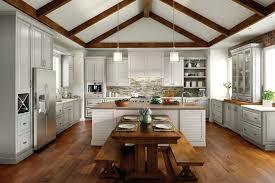 This allows for a range of budgets to shop with Medallion and still come away with a kitchen they’re happy with. There are a number of different types of cabinet, and while the two main choices tend to be base or wall there are specialist units designed for a unique purpose. Different materials are used for each line of products but all of the cabinets features materials and design choices that make them sturdy and durable to daily life. Each of these woods are uniquely coloured to give a distinct look to your cabinet. The feel varies with each and gives different protection to wear and tear. All the hardwood is sourced from sustainable providers. There are non hardwood and hardwood options available, wherever possible it’s a good choice to upgrade for a better look, feel and durability of product. There are 4 different choices of shape for your cabinet doors. These are arch, shaker, raised panel and flat panel. Each gives a different look so it’s just personal preference. Medallion offer a wide range of finishes for their cabinet doors. Standard staining options will impact the colour or your unit and make it darker or lighter depending on preference. Light natural colours or dark browns are used to match the doors to other fixtures in your home. All staining is protected with a satin finish top-coat which is oven cured for even greater protection. Medallion also offer a glaze or highlight features on their doors. This is where specific colouring is applied after the satin finish and gives a very slight adjustment in colour. Perfect for highlighting certain elements within the wood you can use the glaze and highlight feature to make your cabinet one of a kind with completely unique colouring. 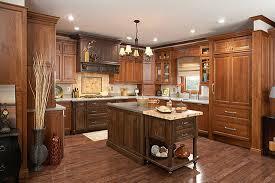 Speciality options for your cabinet doors are also offered. Custom distressing of the wood lets you give your cabinet more character by letting it look aged or worn in specific places. There are also custom colour options available and coastal finishes which are designed to accent the wood’s natural colouring. If you like this sort of custom color options then I suggest you take a look Brookhaven cabinets as well because they have some great options! Finally you can customise your cabinets with different handles or knobs and different numbers of shelves. You can choose glass cabinet doors and metal frames so whatever your vision Medallion can probably help create it. Medallion understand the importance of variety in their cabinet collections. They are providing a credible alternative to the custom cabinet makers by making their units adaptable in terms of style and functionality. 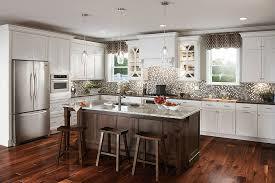 Medallion Cabinetry was able to customize a few cabinets to achieve the functionality and the design we truly wanted. The cabinet we love the most is the built-in one to hold our Wolf wall oven and steamer. Overall we're extremely happy with our purchase. We've owned these cabinets for about 4 years and they have lasted and still look great! 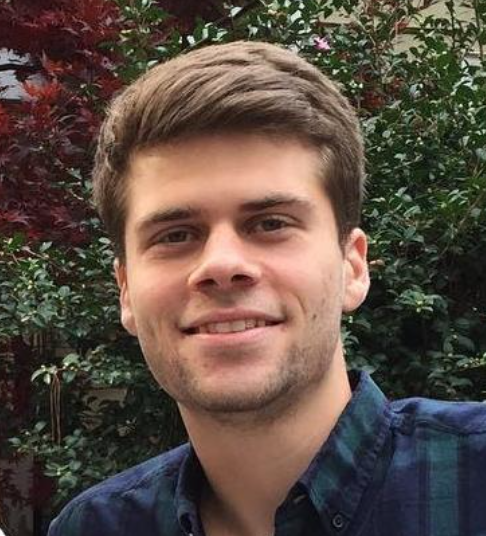 “I am extremely disappointed in this company. I wish I had it to do over again, and if I did I would choose another company. There wasn't enough support for when I was ordering and the communication was lacking.” - Andy E.
Customer service with home furniture can be tricky because it’s hard to tell whether you should be contacting the manufacturer or dealer. However it’s always a nightmare when something goes wrong. Be sure to pick a dealership with staff you trust who will be able to help you is there is an issue. Despite the problems some people have had with Medallion there is a lot of information to suggest that the quality is there. The ability to customise the dimensions of your unit is very popular with customers as it lets all the available space be used in the home. Overall Medallion seem like a more expensive brand but they’re bringing value to the buyers. Medallion stands behind each of its 3 product lines with a lifetime guarantee. This covers all defects in workmanship and materials as long as you own the product and allows you some peace of mind. Always check with your dealer before purchase that your specific items are covered so you don’t get into trouble later if something goes wrong. 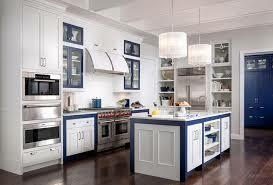 Medallion Cabinets are one of the more expensive brands around but are offering some decent products. The personalisation options, particularly the finishes and glazes, are impressive and allow for product customisation on an almost custom level. There is some evidence that the products aren’t lasting as long as some would like, and at this price level that can be pretty bad. However Medallion Cabinets have 3 different product lines to fit your budget, in this industry you’ll get what you pay for so if you can go for the gold of platinum line it’s worth spending a little extra. All in all Medallion are getting good reviews and could be a strong option for your home.